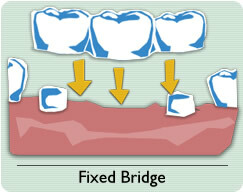 Unlike dentures, a fixed bridge is never removed. 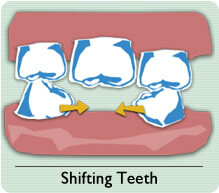 It is stable in the mouth and works very similar to natural teeth. By filling the gap and stopping the movement of other teeth, a fixed bridge is an excellent investment, providing better chewing ability, heading off jaw joint problems and saving money that would otherwise might be spent on future dental treatment.